My nephew and his friends came to visit recently, and they hiked Pitchoff. 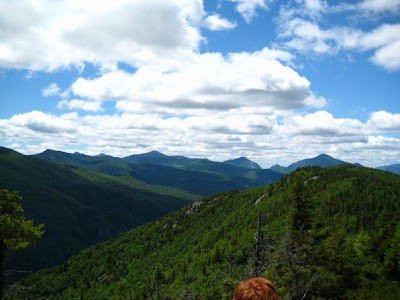 The summit sits at 3,497 ft and actually features several summits with views of the Cascade Lakes, Cascade Range Marcy, Colden & Algonquin as well as the Sentinel Range and Whiteface. On a clear summer day you can see Vermont's Green Mountains to the East. The trial is popular, although there will always be fewer people on this trail versus the nearby bald summit of Cascade. Some rock scrambling is involved in this otherwise moderate hike. Some rock portions can be slippery without appropriate footwear. The trail head sits in between Keene and Saranac Lake on NY-73. Wow! Nice scenery. I bet you've really enjoyed the hike. We als love to walk and hike during our vacations at Devon. We love to stay at holiday cottages that have nice sceneries.